With the 2014 British Open at Royal Liverpool, here are a few photos of Liverpool's most famous export - The Beatles - playing golf. 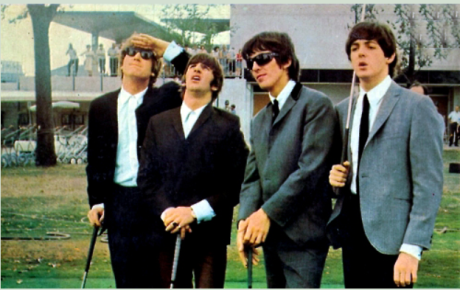 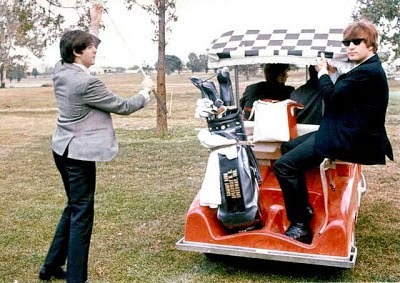 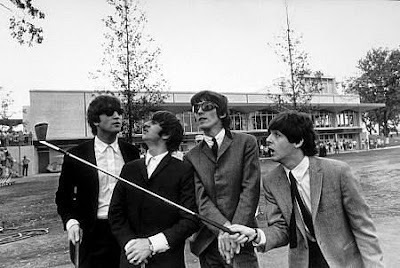 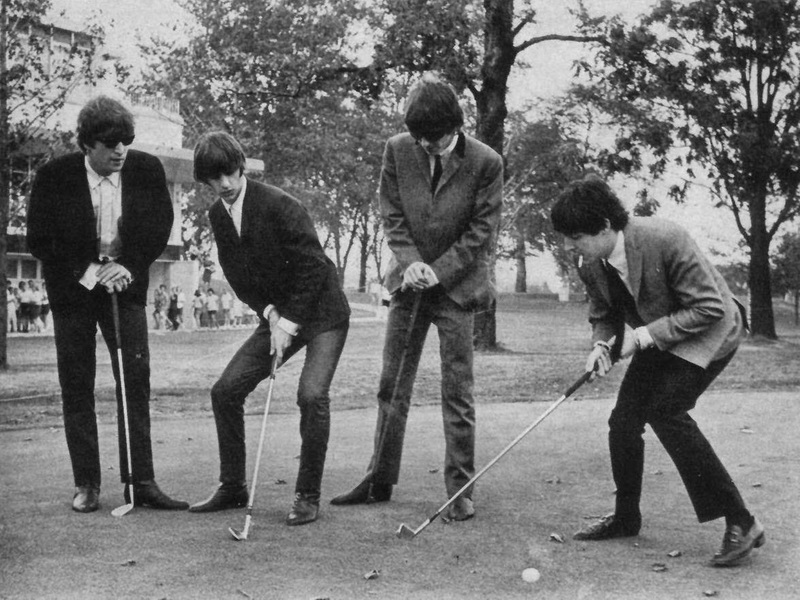 OK, they aren't actually playing golf; none of The Beatles were (or are) golfers. 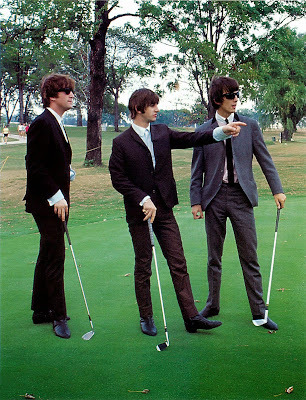 You can tell by the way they are holding the clubs they have no idea of the right way to hold golf clubs. 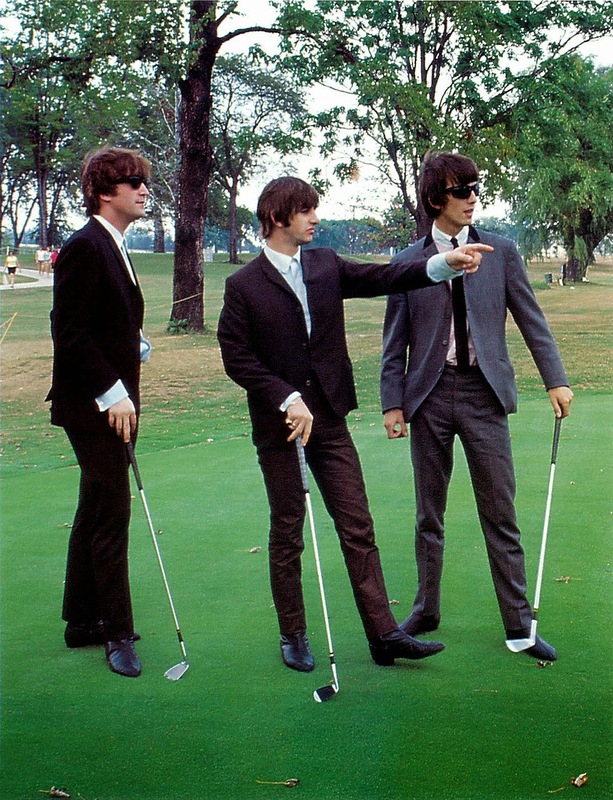 But, it's the Beatles, it's golf ... yeah, yeah, yeah.